The YMCA of Burlington and Camden Counties will host a job fair to fulfill part-time positions in its aquatics department. The event will take place on Saturday, October 3 from 11:30 a.m. to 3 p.m. at the Mt. Laurel YMCA Child Care Center, located at 59 Centerton Road. Positions available include lifeguards, group and private swim instructions, swim team coaches and deck supervisors. Compensation for all programs includes a free membership to the Y as well as a retirement plan and vacation allowance for eligible employees. Hours may vary based on the position and location. Pre-registration is required. All interested applicants should complete the YMCA employment application and pre-registration form online at www.ymca-bc.org prior to the job fair. For more information, contact the Mt. 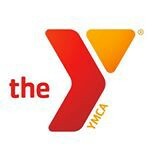 Laurel YMCA Welcome Center at (856) 231–9622 x212.